Pranav Yadav Success Story and bigraphy. Neuro Insight. Altering your brain activity to make you purchase a specific product? Can that really be the future of marketing technology? For those nodding their heads in dismay at the thought of it, the possibilities are absolutely certain with Pranav Yadav’s Neuro Insight. With the company building on cognitively influencing your buying decision, marketing will not be the same anymore. 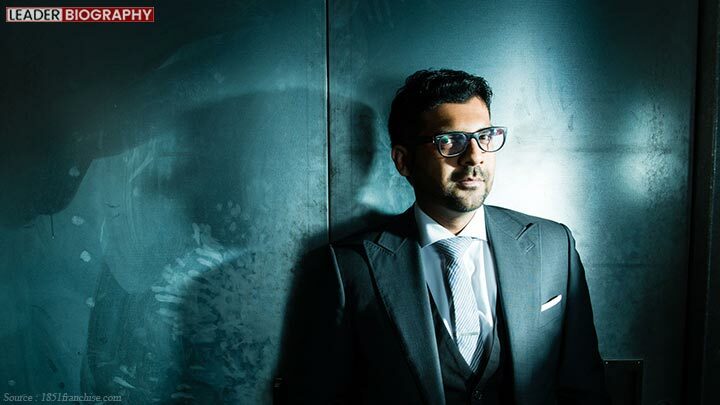 “The world has figured out many ways to go from 5,000 ideas to five, but even the most sophisticated companies use the most unsophisticated tools to go from those five to one,” says Pranav, who envisions this as an opportunity to build on a technology that will redefine brand communication. Dr. Richard Silberstein, the mainstay of Neuro-Insight, and Pranav’s success, offered him the CEO position to lead the company’s brain-mapping tech. The young entrepreneur was struggling with his visa restrictions at that time. Dreading being deported back to India, Pranav reminisces the time, “I found a job on the 89th day of the 90 day period, the chairman of Neuro-Insight was actually pretty amused that someone was recommending a 25-year-old kid to be a CEO with no experience. At the end of the two hour meeting he said, ‘Well, you are my CEO.’ This opened doors for him to practice cognitive neuroscience for making better television ads, and understanding the marketing stimulus. How Pranav’s brain-mapping help brands be more persuasive? With brain-mapping, brands realize that marketing has a subconscious influence in the minds of the consumers which can be influenced to yield better sales. Neuro-marketing draws “honest” indicators of consumer preferences. “People don’t even know how, and why they make decisions the way they do,” says Yadav, and he capitalizes on it to help brands with their advertisement strategies. Neuro-Insight can tell if your brand resonates or not by pulling a set of concise data. “It does two things. It’s diagnostic. We can tell people what to do with their ad so they can optimize it. And it’s predictive. It can predict market success,” says Yadav. Flipping the conventional idea of success, Yadav’s perspective has changed with time. Chasing wealth initially, the entrepreneur realized that striving for excellence will help him achieve greater heights. He personally follows the idea of doing things to the best of his ability, and exceeding the limits like no other. Making it to the Forbes list of 30 under 30, Pranav Yadav shares his life lessons with us. The mogul personally believes that having a sense of humor helps you tackle tough times. Biasness is perennial, therefore, never be afraid, and produce the best without expectation of recognition, wealth or fear of failure, believes Pranav. Talking about the importance of work-life balance he says, “I had to teach myself to develop routines like leaving the office, making time to work out, and meeting friends to engage in discussions that are not focused around work. Often it gives you the ability to connect the dots and come back with ideas and solutions you couldn’t have come up with while sitting at your desk” . Pranav Yadav’s biography is nothing but spurring. Such stories prove that young Indian entrepreneurs are moving up the establishment ladder, perfectly molding themselves for the dynamic digital world. Forbes is waiting for its next Indian 30 under 30 and it can very well be you.